When I was a young girl, I was what was referred to as “horse-crazy,” meaning I was obsessed with horses. As a young child, my favorite outing was a trip to the local pony track, where a dime would buy me five laps around a small corral on the back of a Shetland pony. When I was older, I would nag my parents into taking me to riding stables where I could go for hour-long trail rides through the woods, and also saved my allowance until I had enough money for a few riding lessons. Growing up in the city in a barely middle-class family, I understood that I couldn’t have my own horse, but reading horse books, collecting china horses and getting to see a real horse only once in a while just wasn’t enough. And then, wonder of wonders, my family moved to a small town in rural Kansas when I was eleven-years old, and having a horse of my own suddenly became possible. A few months after the move, a family friend appeared in our driveway, towing a horse trailer behind his pick-up truck. He told us that he had found me a horse, which he would keep at his farm until we found a place closer to town to board her, and that we could come out that night to meet her. And just like that, Gypsy was mine. My dreams had come true: I finally had a horse! Sadly, things didn’t go exactly as I had hoped. My first meeting with Gypsy went well, and so did my first ride. The second time I rode her, she bucked me off and I landed so hard that I was knocked out for a few minutes. I think we all hoped that was an isolated incident, but it wasn’t. She threw a fit whenever I didn’t let her have her way when I was riding her, and she had a nasty habit of biting and kicking when I was in her stall. It wasn’t long before I was both scared of her and ashamed that I couldn’t handle her. This was not what I had dreamed it would be like to have my very own horse. That could easily have been the end of my obsession with horses, but it wasn’t. The stable owner kindly stepped in, offering to find a more experienced owner for Gypsy and helping me find Tony, a good-natured Welsh pony, to help me regain my confidence. 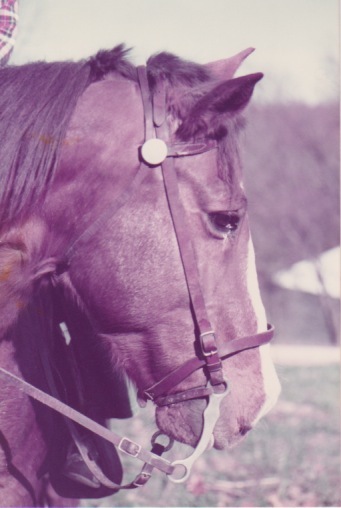 Later, I got Prince, who was as close to the horse of my dreams as any horse would ever be (you can read his story in A Prince of a Horse), and I was lucky enough to share my life with Prince until he died, almost eighteen years later. There’s no doubt that I would have been spared a lot of physical and emotional pain if I had never gotten Gypsy, and if either Tony or Prince had been my first horse instead. 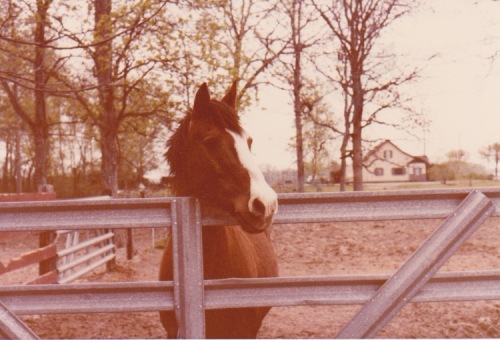 But in some ways, I’m glad she was my first horse, because I learned a lot from Gypsy. I learned that the things we dream of don’t always match reality, and I learned that there are always going to be some situations where my best just isn’t good enough, no matter how hard I try. I learned that sometimes reaching our goals means being willing to make some necessary adjustments, and that there’s nothing wrong with accepting help when it’s needed. Most of all, I learned not to give up, even in the face of failure and humiliation, when we’re chasing our dreams. Life, just like Gypsy, is going to knock me down hard some times. But that doesn’t mean I can’t get back up and try again.